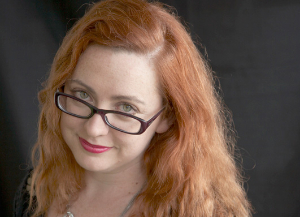 Playwright and novelist Van Badham commenced her role as Associate Artist (Writing) at Malthouse Theatre in Melbourne in October 2011. 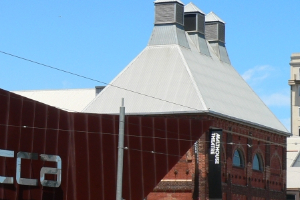 The purpose of the Associate Artist (Writing) position at the Malthouse has been described as being ‘to inform and challenge the identity’ of the company. What might this mean in concrete terms, do you think? Theatre companies are not agglutinous masses with independent consciousness (this belief is a rookie mistake). The identity of a company, and the kind of theatre that they make, shifts and evolves with the skills, insights, aesthetics and ideology of its programming team. As part of that team, at Malthouse I’ll be contributing my specialized skills as a writer and dramaturg as well as making arguments for my own theatrical tastes and politics to inform programming. Theatre companies that achieve real artistic vibrancy are ones that embrace the negotiations of collaboration; this is clearly a priority of Marion Potts’s directorship at Malthouse. It’s incredibly exciting. Will you be working with Malthouse's other two Associate Artists [director Matt Lutton and designer Paul Jackson], or is it more that you each have a relationship with the company, rather than with each other? It will vary. We have our distinct and separate responsibilities and specialisations, but we’ll also be part of a team, assisting one another’s projects, collaborating with other artists and providing artistic support to Marion. In the professional theatre, there’s actually a lot of fluidity as to how artists best serve the company, project-to-project. At the Finborough, for example, I’ve also worked behind the bar (you can laugh, but it is actually true – my theatrical waitressing skills were recently reviewed in the New York Times. Do you have any specific aims in the job? Yes; my skills and abilities are to serve the goal of artistic greatness, whatever form that may take and however I may be best used. In the service of that greatness, I am committed to facilitating diverse representation in Australian theatre and have a boundless enthusiasm for a true embrace of multiculturalism in theatre practice. Theatre's at its best when it engages the discourse of a whole society,not just that of a small community. You’re not only a playwright but also a novelist, critic and screenwriter. Does this breadth of experience give you an advantage do you think, or how do you see it manifesting – either in your role as Literary Manager with Finborough Theatre or in the Malthouse position? As a writer and dramaturg, my job is to apply artistic precision to the creation of written and spoken language. I describe it to myself as “squeezing words”. One of the reasons why I don’t confine myself to one form of writing is that working across disciplines forces me to constantly reevaluate and reconsider the technical craft of writing, to appreciate the nuances of words and idiom, style and structure. Writing is a lifelong vocation and for that reason it requires lifelong learning; every script and book I read is research, every word I commit to the screen is an exercise. The great benefit of being a writer working as a critic is the enforced discipline of analyzing the relationship of content to form in other people’s work – the same goes for literary management; you learn an awful lot about writing by reading a lot of (awful) writing. I also try to do as much teaching as possible – nothing focuses your attention to craft so much as trying to explain it to other people. For the record, I also write lyrics and libretti, radio drama, political commentary, the odd standup routine and, very occasionally, poetry of staggering crapness. It all works the squeezing muscle. Anyone whose morale is low needs a new boyfriend, a cuddle, a hot chocolate or a big fat reality sandwich; from where I’m standing – coming back to the country after 10 years away and a refugee from the biggest cuts to UK arts funding in history - things in Australia are actually looking pretty good. Playwright residencies at theatre companies used to be a lot more common than they are now. Do you think the diminishing of these opportunities have damaged the morale of playwrights in this country, or indeed their output? My career post-dates the period where playwright residencies used to be a lot more common – when I came of age as a playwright, the Liberals were in power and they cut arts funding to pieces so there were a lot fewer opportunities of any kind than there are now. Realistically, I think we’re entering a very fecund time, especially for emerging playwrights – there’s a lot of funding for young people through programmes like Jump and ArtStart, and that things are gradually getting better should be lifting everyone’s morale. There are a lot of things to be upbeat about and grateful for as playwrights in Australia at the moment. We have big companies like Malthouse, Belvoir and Griffin passionately committed to the production of Australian work. We have Playwriting Australia running world-class, multi-level development programmes that offer real technical and professional support. We have a highly organized and capable union in the Australian Writers Guild fighting very hard to ensure that our conditions as playwrights are equitable. We have a touring circuit that’s come of age with the hard work of touring companies like Critical Stages and Performing Lines. We have astounding regional theatres like Merrigong in Wollongong that pour enormous amounts of resources into personalized development of artists. The fringe is thriving in Melbourne and making a long overdue comeback in Sydney. We have, of course, the Script Centre and, through your efforts, organized, professional promotion of our work to internal and external markets. And, crucially, I think, we have drama on the curriculum at high schools, which means generations of theatre-literate audiences who are bursting the seating banks at PACT and going up to Crack and making Imperial Panda such a popular phenomenon. People romanticize the residencies of the past but it’s easy to forget that twenty years ago we didn’t have many of the things we take for granted today. Anyone whose morale is low needs a new boyfriend, a cuddle, a hot chocolate or a big fat reality sandwich; from where I’m standing – coming back to the country after 10 years away and a refugee from the biggest cuts to UK arts funding in history - things in Australia are actually looking pretty good. ...For me, this is the basis of theatrical greatness; moving and unusual truths told fearlessly, and an intimate knowledge of the immediate to communicate expansively about the human infinite. Words, as they are, well-squeezed. Following on from that, do you see Associate Artist positions as being a way to give playwrights a sense of empowerment within the mainstage theatre company structure? Ha. I don’t know – ask me that in six months. I wonder, though, whether there’s some mythmaking going on about what Associate Artists do; we don’t actually just sit in the corner and write poetry to ourselves on the theatre company’s payroll – we do actually have to run the company and that means as many meetings, reviews, emails, conferences, reports and overflowing inboxes as any other white-collar job. And, let me tell you from experience, reading your twelfth unsolicited script of the day that concerns a young white man’s heterosexual lovelife and a bus-station is hardly bloody empowering. Do you have any personal projects you'd like to tell us about? Do buy my novel Burnt Snow – and do so soon, as its sequel White Rain is coming up, and then you can read that. Hooray! If you genuinely want to know what I’m up to, I post all the scintillating details of my very eclectic career on Twitter – I tweet via @vanbadham. What’s your favourite Australian play, and why? Hmm. Louis Nowra’s The Golden Age is an extraordinary play – not merely for the artistry of its language and construction but also because it’s a play that is willing to ask brave and important questions about the foundation values of Australian society. Too Young for Ghosts by Janis Balodis is another excellent Australian play, as is Stephen Sewell’s Hate. What all three have in common is that they exist in a diegetic space and time that is identifiably Australian, and yet their ideological investigations into power, displacement, love, identity and oppression are applicable to any social context. For me, this is the basis of theatrical greatness; moving and unusual truths told fearlessly, and an intimate knowledge of the immediate to communicate expansively about the human infinite. Words, as they are, well-squeezed.